If you grew up playing with Barbies, then you’re going to absolutely lose your mind over this recent news from Mattel! The legendary toy company is releasing a Barbie Malibu Safe House where Barbie can hide from the Yakuza! Why couldn’t they have come out with this when we were kids? It’s completely unfair! According to Mattel, Barbie’s Malibu Safe House has all the luxury amenities and high-tech security measures that Barbie needs to lay low while the vengeful Japanese mafia hunts her down. There’s an intricate alarm system with real working alarms, a bulletproof panic room, and even a cupboard full of cyanide pills just in case the Yakuza makes it inside! It looks like Mattel really went all-out to make Barbie’s terrifying life on the run from the Yakuza as cute and fashionable as possible! From what we can tell so far, Barbie’s Malibu Safe House is guaranteed to cause a massive nostalgia trip for anyone who ever played with Barbies as a kid. 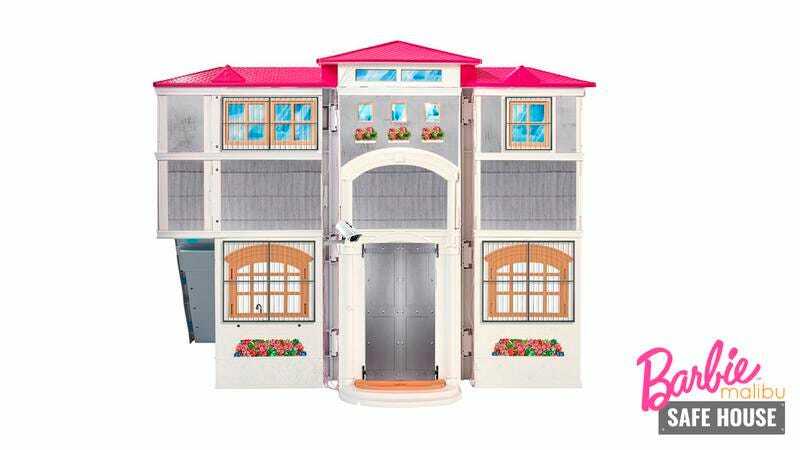 It comes with all sorts of cool security measures including a top-of-the-line surveillance system securing the perimeter, titanium-reinforced doors, and a bulletproof safe where Barbie can store all of her foreign currency and counterfeit passports in case she needs to flee the country under an alias again. The playset even comes with a can of brown hair dye so that kids can help Barbie disguise herself as a brunette as an added safety precaution. Yep. This sounds like it’s pretty much a perfect gift for any imaginative child in your life who loves Barbie or brutal mob vengeance. So far, the only downside is that the Malibu Safe House has no guest room for Ken because Ken can no longer be trusted. Barbie can’t trust anybody anymore. Wow! If you know a little kid who loves Barbie, they might just have the time of their lives with the Malibu Safe House as they help Barbie elude the gangster assassins that want to take her fingers! It’s basically the best toy ever!